How Do You Like Them Cameras: Canon C300 II or Sony FS7? If you are like me, a filmmaker who tries to do film magic on a budget, you probably keep an eye on certain professional video cameras waiting for that price-drop moment. But what if there's another professional camera at an already lower price with similar quality? Do you wait or buy the cheaper one? J.P. Morgan and Kenneth Merrill from The Slanted Lens are trying to help us with that decision by reviewing Canon C300 Mark II and Sony FS7. They go through features that are of most interest to filmmakers: dynamic range, ISO performance, built-in ND filters, underexposed footage, color-handling, slow motion, and audio. As with still cameras, we know that above the $1,500 price range, you can't really get a bad one if you know what you are doing. It's the same for video, but usually with at least one extra zero at the end of the price tags. In this case, the $10,000 price range delivers quality gear, and it's up to us to decide which features we are going to utilize the most. Great dynamic range and solid ISO performance are just a few of the covered features. Both cameras hold quite well under difficult light situations. However, each of them have advantages over the other brand. Canon would likely be more comfortable for audio recording, as it has has pre-amped XLR inputs. Sony, on the other hand, allows for higher frame rate footage, and so, you can have cooler slow-motion videos. The decision is up to you. It's not easy if you want to spend $10,000 on a marriage to a professional camera brand manufacturer, but hopefully, this video will help. I just shot a huge commercial project on the C300mkII for a client, and absolutely loved it. We shot both internal recording, and to an external recorder. The color is fantastic and its a joy to use. Ive shot on the RED Epic & Scarlet, Ursa Mini (and other Black Magic Models), the A7sII, and various DSLR's. Unless I needed really high frame rate & 4 resolution combinations, the C300mkII is my favorite camera to date. I'm glad to hear that. I'd intuitively go for the C series too (mayb because I'm a Canon user). It would be interesting to see how the Ursa Mini stands in that competition here. It's far cheaper and I don't know what to expect. Very valuable information, thanks. Leaving the base ISO issue is really a stopper for me. I can get with a cheaper body for the stills but for video the body is very important. 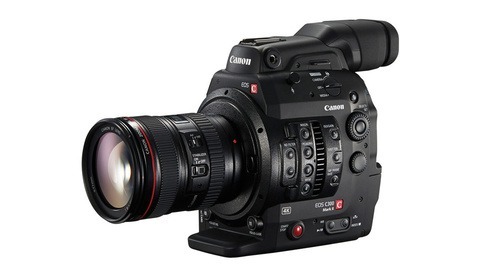 Can't wait to see how the C300 Mark II compares to the upcoming FS700 Mark II. I have a big desire to move from DSLR to a pro video camera but I don't want to give up the convenience of using a small camera that can "do everything." Do you guys know if there is a DSLR sized video camera that can shoot without stopping every 20 minutes and has autofocus and quality audio inputs? 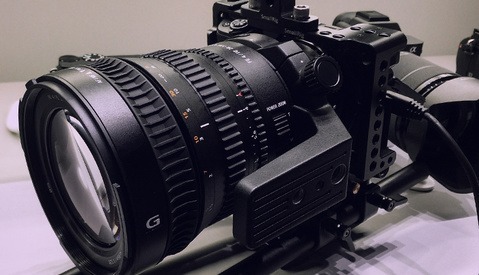 Black Magic's Cinema Camera is something of that size. Their Pocket Cinema is even smaller, like the Sony mirrorless. Not sure about the audio inputs, but the pocket one has auto focus. However if you'd allow yourself using something that resembles a medium format camera, then the Canon C series is what you may check. I pesonally intend to go in this direction as I'm still into the DSLR video realm. You might be looking at something like the weird Canon XC15? But the audio box on top just looks silly. Still hoping for that mirrorless camera with 4K 4:2:2 10 bit internal, good battery life, XLR inputs and log shooting with LUT preview on screen. Guess that will be like 5 years from now. The Canon c100mkii with the dual focus autofocus is pretty good. Overall it's a relatively small compact system, batter power is pretty good, xlrs, and aren't limited to 20 minute shots. I use the Sony FS5, small and lightweight, but pretty powerful body. I'm usually a solo shooter so it works well with smaller budget shoots, and gives you pretty much everything the FS7 does except 422 4K and 4K 60p. I've shot with both extensively. Out of the two I prefer the C300mkii. I love the color science, ergonomics, and the menu system... But the fs7 has the higher framerates. Just wish RED would allocate my Helium upgrade! I shot with the sensor already and it blows just about every camera out of the water-and that's with the current color science. 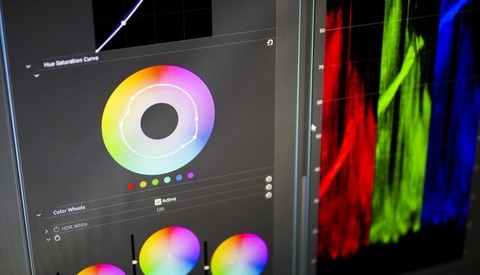 Would be very interesting to see how it performs with the Helium color science!